There’s nothing like seeing your son or daughter for the very first time. As a father of a young child, Michael Squellati understands that feeling all-too-well, but he also understands the fear and apprehension a new father will have as well. 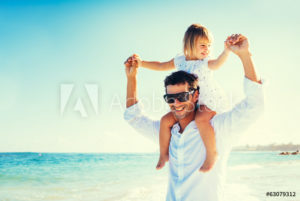 If you are going to be a father in the very near future, no blog post will provide you with all of the answers, but you might learn a thing or two that you can take with you as you learn the ropes of becoming a father. Michael Squellati provides the following tips to help you as you learn to become a father. Take a Second for Yourself When Things Get Crazy: And they will. Every father will experience a scene where the baby is crying, his cell phone is going off and it’s work, and he somehow managed to burn dinner. It happens, but what shouldn’t happen is him losing his temper – especially in front of his child. As a new father, you’re allowed to leave the room for a second, take a deep breath, and face the situation head-on. Play with Your Baby as Much as Possible: You don’t think that your child will remember these play sessions, right? He or she will. Playing creates a bond that your baby needs. Make Your Baby Your Number One Priority: Everything else takes a backseat to your child now. You won’t regret later on in life putting in time to hang out with your child and family. Limit Your Daily Schedule When Your Baby Is Around: Trust us on this one. When you bring your baby with you to do errands and other things throughout the day, it’s going to take longer. Try not to schedule too much on a given day as you’re bound to run behind. Be Aware but Don’t Be Paranoid: Your baby is sturdier than you think. Obviously, if he or she gets sick, call your pediatrician. But remember that every sneeze does not mean the baby is ill. This one might take time, but you’ll learn to limit your questions and doctor’s visits to legitimate concerns.